Arnold Packaging handles every aspect of getting your product from Point A to Point B safely: designing the container, manufacturing it to spec, and packaging your product at your facility for travel via any mode of transportation. No matter how large the product or how complex its shape, we can prepare it for shipping safely. We have packaged plane engines, government satellites, electronic rack systems, machinery and much more. 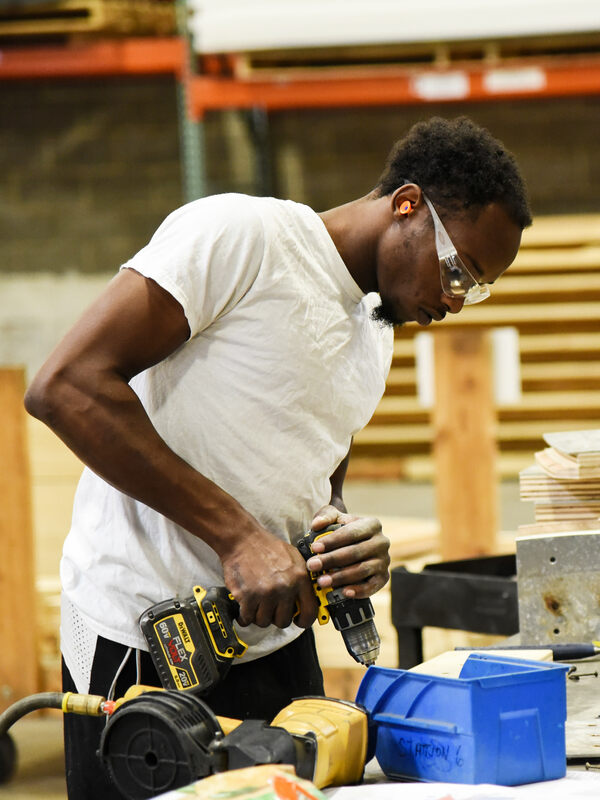 Whether your project is high-volume or you’re shipping a single product once a year, we will bring the highest quality tools, containers and protective packaging supplies to your facility. We can build containers on site, and custom fabricate foam to cushion the product precisely. 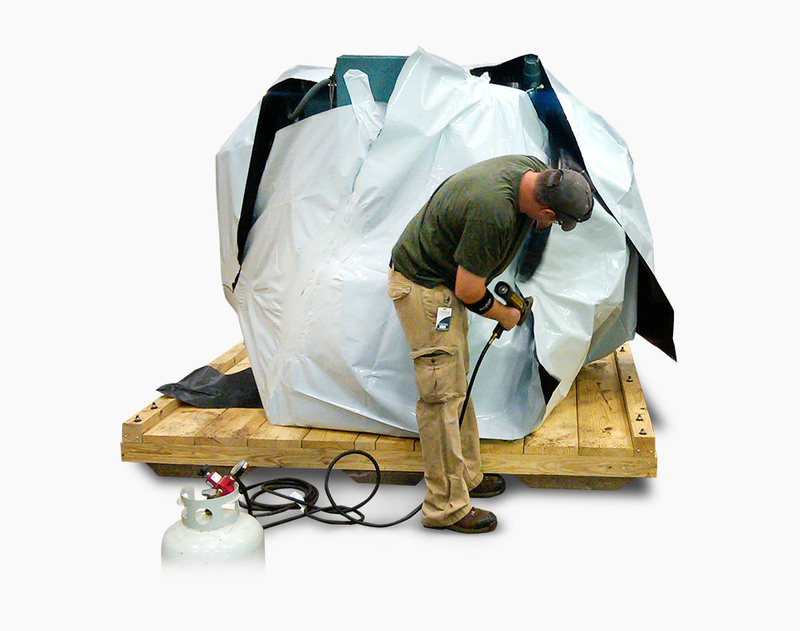 If needed, the container can be covered with an anti-corrosive, moisture-blocking shrink wrap. With Arnold Packaging you pay for labor only when you need it — backed by our unparalleled expertise. You can’t stump us. We dare you to try. Call us at 1-855-ARNOLDS. We have extensive experience in the design of export crates and packaging, and we are ISPM 15 export certified for wood packing material requirements. All lumber purchased by Arnold Packaging meets or exceeds the ISPM-15 standard for heat-treatment requirements for export shipments containing Solid Wood Packaging Material. We can apply our ISPM-15 compliant stamp to any of our wood crates, boxes and pallets specified for export packaging.